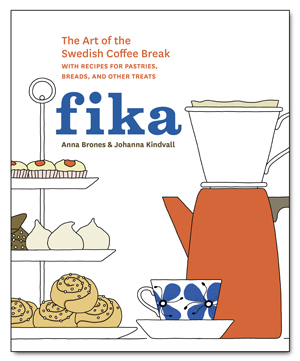 One year ago, today, Anna Brones and my book Fika – The Art of The Swedish Coffee Break was released. I can’t believe how quickly this year has gone by. A year full of wonderful meetings with readers and enthusiastic bakers and cooks from all over the world. 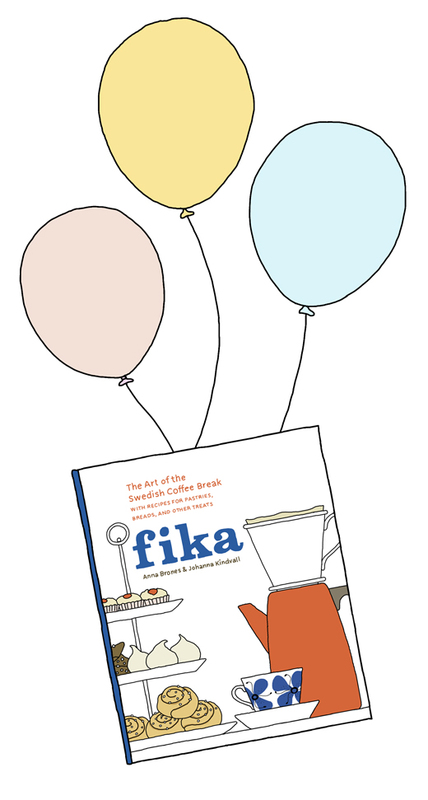 By tagging #ArtofFika on social media we have been able to follow our reader’s wonderful fika moments and their delicious results when baking cakes, cookies and breads from the book. I also find it inspiring when I see readers creating delicious new versions of the recipes. Thank you all for sharing your fika with us. I’m super thrilled to let you know that the Fika book is being translated into both Chinese and Korean. How cool is that? I can’t wait to see the result. 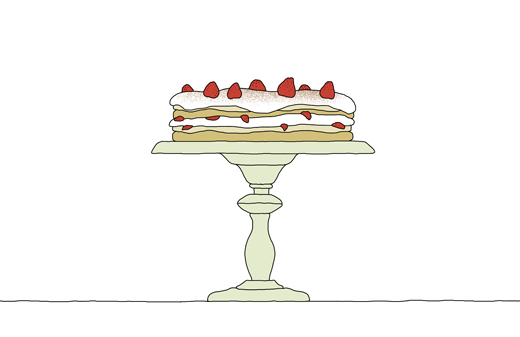 To celebrate, I’m baking a tweaked version of the Meringue Torte (page 104), which for some unknown reason in Sweden is called Pinocchiotårta or Brittatårta. In the cookbook we just calls it Marängtårta and bake it with hazelnuts and chocolate. Here below I suggest baking it with berries (fresh or frozen) such as strawberries, blueberries or/and raspberries. I also like it with a little fresh ginger in the merengue and instead of hazelnuts topped with slivered blanched almonds. Preheat the oven to 300°F (150°C). Grease and flour two 9-inch (23-centimeter) round springform pans*. Cream together the butter with sugar. Add one egg yolk at a time. When it’s evenly blended, mix in the vanilla and milk. Lastly fold in the flour and baking powder with a spatula until you have a smooth batter. Spread the batter equally into the 2 prepared springforms. It should be spread as a thin even layer all the way to the edges. In a grease free metal or glass bowl, whisk the egg whites until soft peaks form. Continue whisking while adding sugar little by little and whisk until stiff peaks form. Lastly add the fresh grated ginger. Divide the meringue equally between the two pans and spread out so it covers the cake batter completely. Sprinkle with slivered blanched almonds on top. Bake the cakes for about 40 minutes, until the meringue and almonds are crispy and golden brown. Remove from the oven and let cool. When the cakes are cool, carefully remove the cakes from the springform. On a serving plate, place one layer and spread the berries and whipped cream on top. Place the second cake layer on top and (if you like) top the cake with more cream and decorate with some extra berries. *You can also bake this in a single rectangular pan lined with parchment paper, and cut in half to make the individual layers. Just love the swedish kitchen ! Living by the sea and wood i am lucky to have ingredients that are “swedish”. Thanks for input.